I was personally hired by Leo Fender in 1961. For the first two years, I worked in the quality control and test department. I had design input on our products, along with personally inspecting and passing many blackface Fender amplifiers. 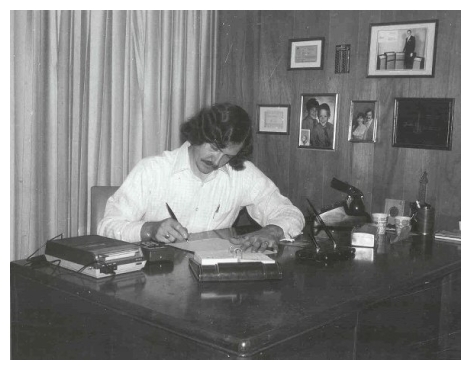 In 1964, Forrest White asked me to join Fender’s newly formed Research & Development Division. I had already been involved in design changes, and Fender was looking for experienced tube design engineers who also understood solid-state circuitry. I worked for Fender as an Amplifier Design Engineer until 1967. 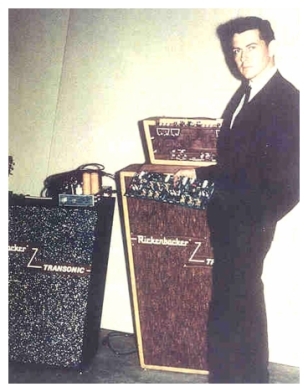 It was then that I was approached by Francis Hall to become Director of R&D at Rickenbacker where I had complete control to design the Transonic Amplifier Line used by such incredible artists as Steppenwolf, Led Zeppelin and Jeff Beck. Click here for more on my work at Rickenbacker, including pictures of famous artists using my Rickenbacker Transonic amplifiers. And countless others! 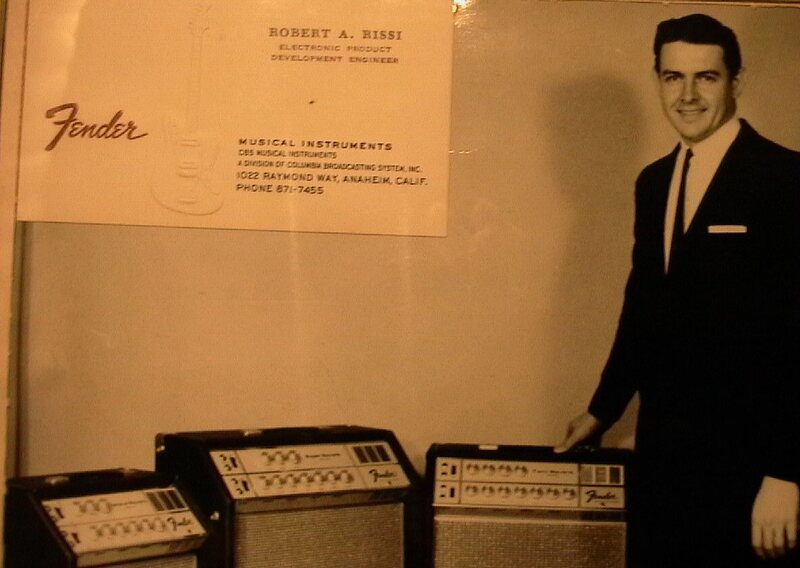 Risson Amplifiers, though somewhat unknown to the general public, became a very successful producer of the highest quality amplifiers for famous musicians. A shift in priorities put Risson on my back-burner for several years while I raised my family and helped pioneer new computer solutions for small businesses. I continued to build and repair amplifiers on a part-time basis, but it wasn’t until about five years ago that I began full-time production due to constant demand. I found a treasure trove of vintage amplifier parts when I reopened my storage facility and started sifting through inventory I had collected as far back as 1960. I am now building the Risson Marvel Tube Amplifiers using mostly vintage parts from the 1960s; the same Astron, Mallory, Ajax, and Ohmite components used in Fender amps of the time period. 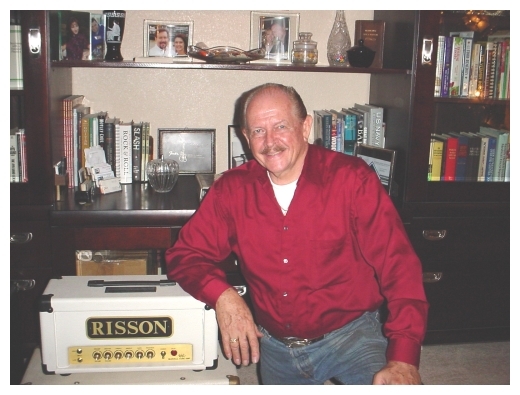 In addition to crafting new Rissons, I also build and restore Fender amplifiers for my clients. The same irreplaceable engineering that amplified the music of legendary artists is now available to you. I build each Risson Amplifier by hand so that your music can sound better than it ever has before. I look forward to showing you why making the change to Risson Amplifiers will be the best move you can make for your sound. After all, you deserve the best.